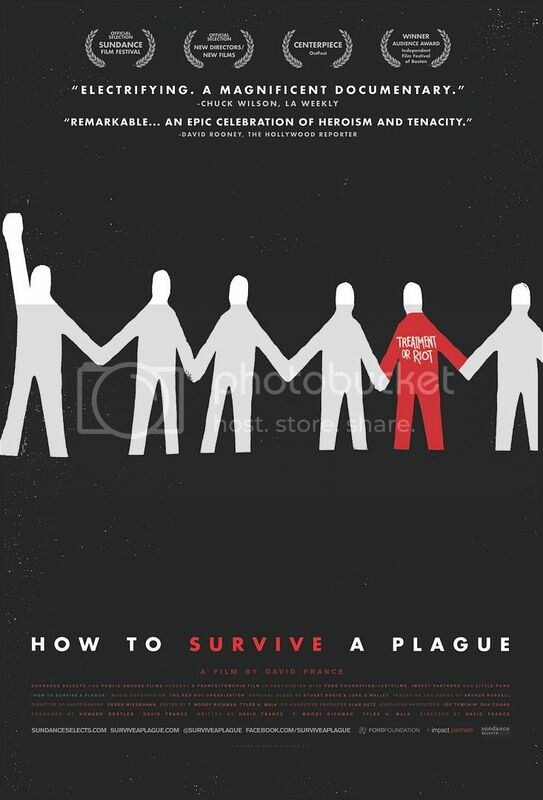 “How To Survive a Plague” picks up where groundbreaking companion AIDS film “And the Band Played On” drops off, around 1987, with the formation of the AIDS Coalition to Unleash Power (ACT UP) advocacy group, which is the central protagonist of the documentary. The AIDS virus had been identified, isolated and diagnosed in patients. But as a running ticker throughout the movie reminds us, the AIDS death toll knew no limit. By 1988, 70,000 people had already perished, a number that would climb to an astonishing 500,000 by 1997. Complacency and frustration were the norm among medical professionals, who treated patients with a series of “what the hell” drugs, when they’d even consider treating them. The scientific community, although recognizing that research was necessary, devoted little money or manpower. Even early drugs that showed experimental efficacy or relieved symptoms in AIDS patients were dismissed. Scientists and the government were the targets of ACT UP’s fury and protests. 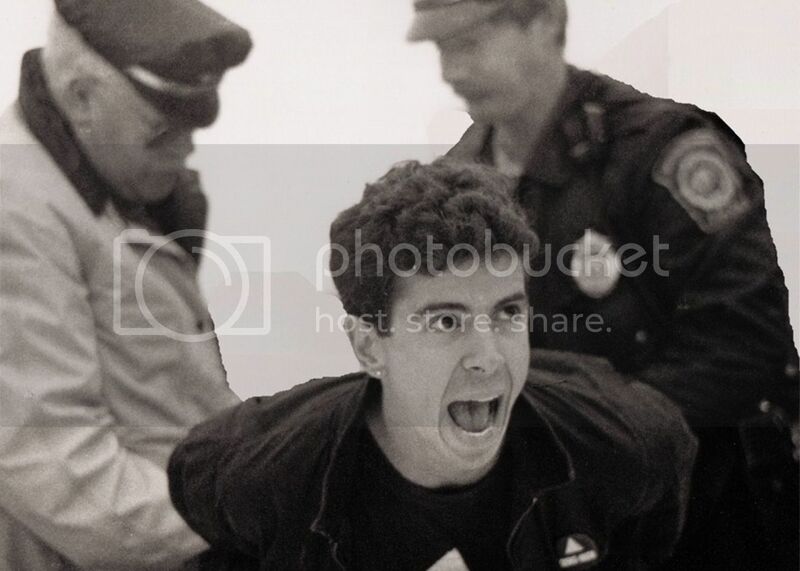 ACT UP founding member Peter Staley impassioned during an arrest at a protest. But by the late 80s/early 90s, ACT UP’s mission had reached a critical Phase II: conformity. Extremists and truculent zealots were dismissed to the sidelines, while the group became self-made scientists, learning everything from medicine to virology and immunology to chemistry. Rather than shut down the FDA for a day like they’d done years ago, they showed up to a scientific meeting in suits and ties to hand out a well-thought-out publication worthy proposal on AIDS research and treatment timelines. Impressed scientists took note. By the time charming ACT UP leader Peter Staley addresses an international convention meeting of the American Society for Microbiology, he is given a standing ovation. ACT UP’s fight, the fight of the gay community, had now become a global fight. 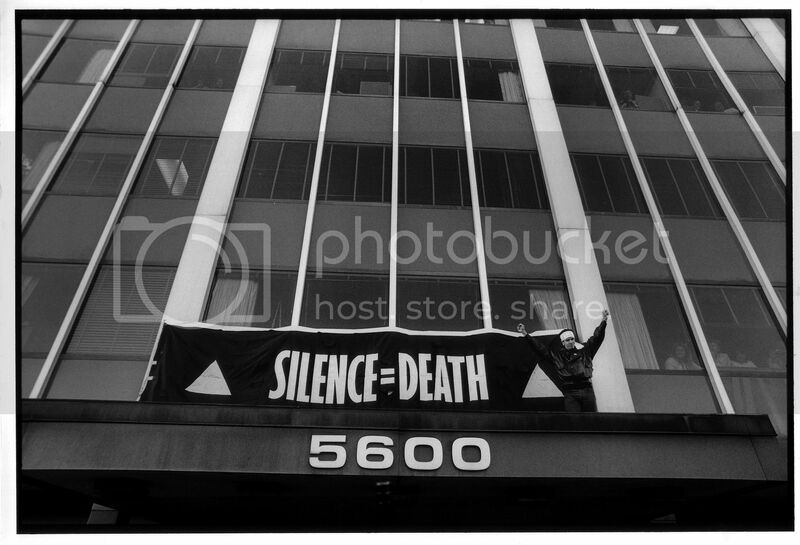 ACT UP activists stage a successful takeover of the National Institutes of Health infectious diseases division (NIAID) in May of 1990 to bring attention to the dearth of funding for researching new AIDS medications. Scientists in the movie range from heroes and anti-heroes to ordinary people, which is a rarity in entertainment media. By far the biggest hero is Dr. Iris Long, a chemist with 20 years of experience in retroviral drug development. Although she knew no one with AIDS and never met a homosexual in her life, Dr. Long became a mentor and science advisor to ACT UP. Her fearless leadership and ability to educate the members led to direct reforms at the FDA and NIH. Other members like Bill Bahlman (the first to demand a direct drug treatment for AIDS) and Garance Franke-Ruta (a high school drop out and science nerd who became the group’s leading advocate for science-based activism) led the internal change to join forces with scientists rather than fighting them. And for every scientist that ignored the AIDS crisis was a research pioneer like Anthony Faucci, now head of the NIH Institute of Allergy and Infectious Disease, or a Merck chemist leading the development of anti-retroviral drugs. Moments after a graphics-filled technical explanation of how anti-retroviral drugs inhibit HIV virus replication, one of the Merck scientists interviewed in the film broke down into tears when recollecting the enormity of what they’d accomplished. It’s a stunning, raw moment in a film filled with them. Recent advances in writing for sci-fi have painted more complex, human depictions of scientists and researchers. But such insights are far too rare in documentaries. In a strangely macabre way, “Plague” is an emotional feel good story, but one that isn’t over yet. Through the darkest days of rallying a tone-deaf world, all the while losing members day by day, ACT UP’s commitment and perseverance never failed. By the time surviving members, some of whom professed in footage that they never expected to live, are finally revealed in the present day in the film’s last act, the audience is flooded with gratitude and catharsis. The science world, which once didn’t know what to make of this emerging virus, took only one year from the time the first protease inhibitor hit the market to come up with and approve the current three-drug treatment cocktail. But the film’s unstated, looming conclusion is that we will never get back the millions of people who died during a decade of silence. Too many people continue to perish, most in what has become a new frontier for the AIDS crisis. The fight for a cure or prevention is not over. And a new plague could always be around the corner. It is our hope that future documentarians take note of both the film’s message and its delivery style.